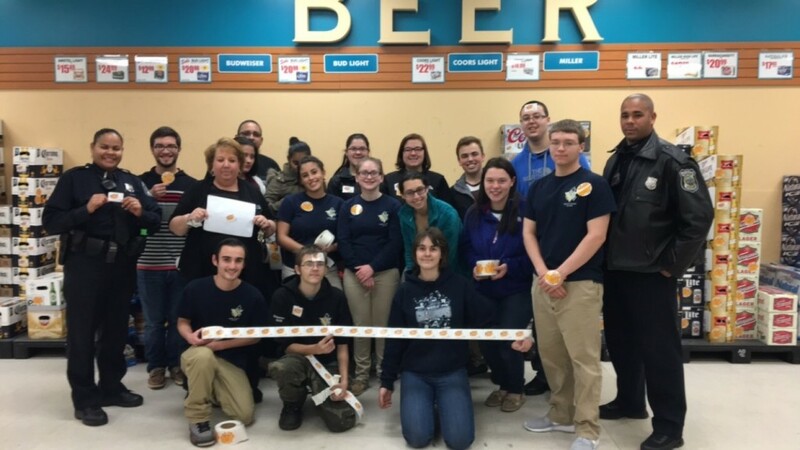 On Friday (January 29th) students participated with Student Resource Officer’s Leanne Fisher and Ryan Bland in a Sticker Shock Campaign with the help of DA’s Underage Drinking Task Force, The New Bedford Health Department, and a local liquor store Douglas Wine and Spirits. Involvement included students from New Bedford Regional Voc-Tech, and New Bedford High School. Each student received a large bundle of stickers that said “Hey you! It is illegal to provide alcohol for people under the age of 21!” The students would place as many stickers as they could all over multi-packs of alcohol beverages to “shock” the community and get them to ask questions and discuss the dangers of underage drinking.